If you are looking to buy property in Rojales, Spain then you will almost certainly need to find a list of Rojales real estate agents. Rojales is a fantastic place to buy a property whether you want to buy a property for a holiday home or whether you intend to live in Rojales. Rojales is a small agricultural village by the River (Rio) Segura in the Vega Baja Valley. It is now home to many expats due to the close proximity of the southern Costa Blanca beaches just ten minutes drive away. The nearest beaches are at Guardamar and Torrevieja but there are plenty more in the area. There are two golf courses very close by at La Finca golf and La Marquesa golf and country club. Estate agents located in Rojales will also be able to help you find property in towns, villages, urbanisations and developments close to the Rojales area. 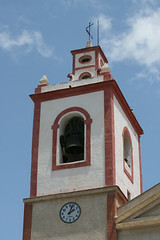 These include: Ciudad Quesada, Formentera del Segura, Urbanisation Benimar, Benijofar, San Fulgencio, Heredades, La Rellana, Los Montesinos, Algorfa, Daya Vieja, Daya Nueva, Lo Martinez, La Canaleta and Urbanisation Fincas de la Vega. Estate agents in Rojales are also known as inmobiliaria so when searching on the Internet for estate agents also try typing in Rojales inmobiliaria and you will get a lot more local Spanish estate agents turn up in your property search. White Villas In Spain is at your service to help you with your real estate projects. We intervene as an intermediary between the seller and the buyer backed with the financial and legal guarantees that comply with the law of January 2 1970. (By comparison, transactions between private sellers do not benefit from any sort of guarantee). Our agency covers real estate property in the Costa Blanca , but also in the adjacent areas and advertises in all regions. Business Address: OFFICE ROJALES: c/ Quesada Ballester – Local 1, 03170 La Marquesa Golf – Rojales, Alicante – España. -Research on your behalf for property that you wish to acquire. -Negotiation on your behalf of property that you wish to sell. -Property assessment so as to put it on the market at the best price. -Financial advice to obtain a loan or assistance in setting up your finance scheme. -Help when signing the deeds at the solicitor’s / Notary. At Smiley Homes Estate Agents we pride ourselves on providing a friendly yet professional service which caters for everybody. Whether you’re buying or selling, we can help you every step of the way. We may not claim to be the biggest in the local area, but we believe that our success as an agency is based on providing the best service to you our customers. We listen to your needs and search out the best fit for your requirements. If it’s not on our books we’ll do the leg work and find the perfect house for you. Leaving you free to relax and enjoy the sun while we do all the hard work. Looking for a home in the sun, a winter get-away or considering relocating to Spain? SmileyHomes Estate Agents in Rojales are here to help. Whatever it is you’re looking for we have a diverse portfolio of Apartments, Luxury Villas, Townhouses, Investment Opportunities and Country Estates to offer you. Contact us today and we’ll be happy to help. Barceló Real Estate belongs to the Grupo Barcelo, a business group which began in 1989, dedicated to the construction and housing reform, and which also integrates our sister company Creaciones Barceló. After more than 20 years of extensive experience, we are proud to have been able to meet the needs of thousands of customers choosing every detail by personalized criteria of quality and efficiency. On our page you will find all kinds of properties at the best price as apartments, quads, bungalows, villas, plots, townhouses both new and second-hand. Do not hesitate to contact us to find your property in Ciudad Quesada, since we feel genuine passion for our work. Come and visit us, it will not leave you indifferent. Rojales is a vast area covering Ciudad Quesada, there are medical centres in Rojales and private practises for English speakers. The Spanish medical centre always likes you to bring an interpreter with you, if you can’t speak Spanish. Depending on your budget for a holiday/rental home this may be an apartment or a house, obviously the bigger the property the more maintenance it would require. All urbanisations have their set community costs per year and this can range from 200 to 1,000€ depending. The nearest beaches are Guardamar and this is only less than a ten minute drive from Rojales. Guardamar is a great place for a property as it is usually walking distance for the town and the beach, this would definitely be an apartment. Long term rental is lower than holiday lets. An apartment that might rent for 200€ a week holiday let would approx be 300€ a month long term let. Agents in Rojales have their own unique properties for sale but they can also show you other properties on sale from other estate agents. If you buy a property, the two estate agents will split the commission so the property you want to buy won’t cost you anything more. Commissions for selling your home are usually between 3% and 5%. Many estate agents in Rojales will also have villas and apartments for rent and opting for a long term let or rental is a great way to get to know the area first. Most Rojales estate agents should also be able to help you with these services: finding apartments for sale or rent, villas and houses for sale or rent, townhouses for sale or rent, selling your property, letting your property, information on the local area such as amenities, facilities and schools, new build properties and resales, cheap bargain properties including repossessions and distressed sales, property maintenance, valuations, luxury properties, property finding services and arranging mortgage financing, Some agents will also handle commercial property such as shops to let or lease, bars and restaurants for sale and land for sale. This page is all about Rojales property. As Rojales property covers many different topics we also have more detailed Rojales property pages depending on what type of property you are searching for in Rojales. Most people searching for the term Rojales property will be looking for cheap property for sale in Rojales or properties for sale in Rojales but you may also be looking for property to rent in Rojales – whatever you are searching for, whether new build property or resale properties the sections below should help you find the Rojales property information you are looking for. If you are searching for property in Rojales you may also want to consider property in the towns, villages, urbanisations and developments close to the Rojales area. Rojales property and Rojales real estate has risen considerably in the last few years as so many people from Northern Europe have realised it is an excellent place to buy property and therefore Rojales house and property prices have surged upwards. Rojales property used to be considered cheap but these days finding cheap Rojales property is still possible but is likely to need considerable renovation. However – property in Rojales is still a good long-term investment because the Costa Blanca coast of Spain is becoming known as the California of Europe and many people from Northern Europe want to holiday or retire to Rojales. So whatever Rojales property you buy – over the long term your home should be a wise investment and appreciate in value considerably. Most people searching for the term Rojales property or Rojales properties for sale are looking for cheap villa property for sale in Rojales or villa properties for sale in Rojales. Please note that houses in Rojales are better known as villas and old houses are better known as fincas. Most villa properties for sale in Rojales will be outside of the main town in the urbanisations surrounding Rojales. If may be that if you are searching for the term Rojales property or Rojales properties you may want to find cheap Rojales villas to rent. 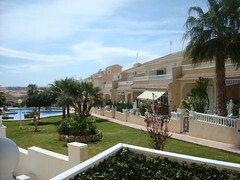 Probably you are looking for a short-term let or in other words you are looking for a holiday villa to rent in Rojales. You may also be looking for Rojales property because you want a long term let or long term rental in Rojales. This is an ideal way to get to know Rojales and the surrounding area in case you are thinking of purchasing or buying property in Rojales. We have a whole section on long term lets and rentals in Rojales – click here for more information on Rojales long term lets and long term rentals. If you are searching for the term Rojales property you may well be interested in apartment property for sale in Rojales or apartment properties for sale in Rojales. Most apartment properties for sale in Rojales will be in the middle of the main town within walking distance of Rojales shops and restaurants. Apartments in Rojales are also known as flats or townhouses. If may be that if you are searching for the term Rojales property or Rojales properties you may want to find cheap Rojales apartments to rent. Probably you are looking for a short-term private let in Rojales or in other words you are looking for a holiday apartment to rent in Rojales. You may also be looking for Rojales apartment property because you want a long term let or long term apartment rental in Rojales. This is an ideal way to get to know Rojales and the surrounding area in case you are thinking of purchasing or buying property in Rojales. We have a whole section on long term lets and rentals in Rojales. We get many enquiries from people looking for long term apartment lets and rentals as well as interest in villas for long term rental and lets in Rojales. Local Rojales estate agents may be able to help but there are also many businesses specialising in commercial property (especially shops for let) on the Costa Blanca. Estate Agents & Property in Rojales – Page Summary – This page contains unique content about estate agents (known in Spain as inmobiliaria) in Rojales as well as a directory of known estate agents in order to help people looking to let or buy property in the Rojales area.